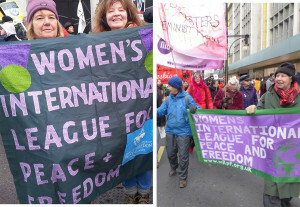 The long-standing Orpington Branch includes women from South East London and North West Kent. We generally meet monthly on Tuesdays in the Market Room at Orpington Library between 2 and 4 pm. We welcome non-members to these meetings where we have speakers, engage in discussions about our campaigns, and plan our activities. Join us for our annual Garden Party. Our speakers will include Carolyn Gelenter, Liz Khan and Georgina Reeves, who will discuss ‘Palestine: The Catastrophe That Never Ended. 70 Years of Dispossession & Oppression’. Find out more here.